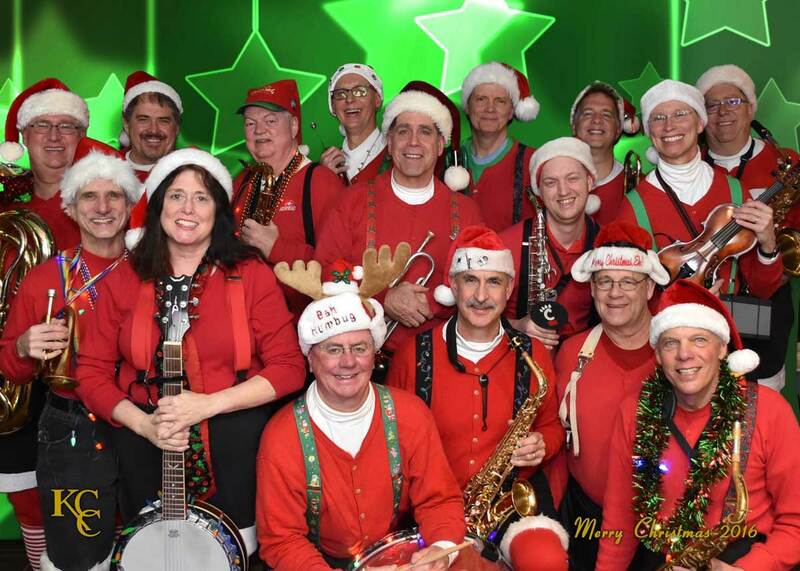 Santa’s Goody Bag Band is a horn-based band consisting of members who have performed together in various musical organizations since the early 1970s. 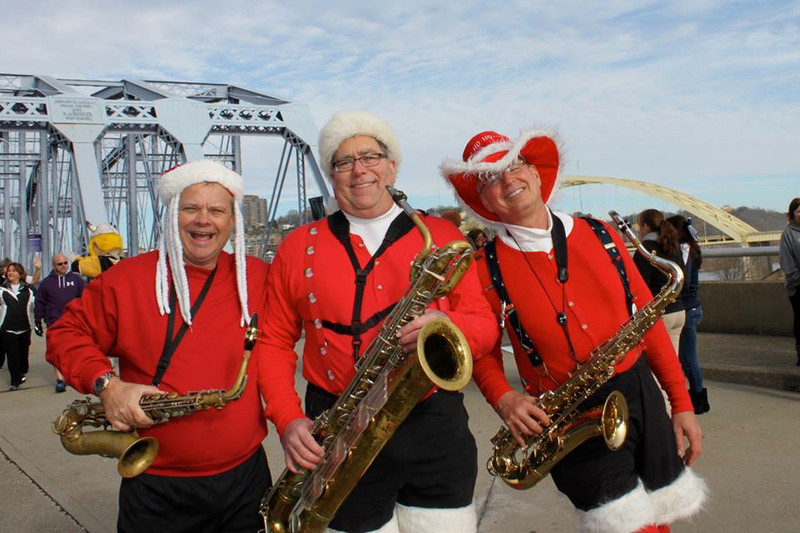 They trace their roots to Kings Island and the marching bands of Xavier University and the University of Cincinnati. 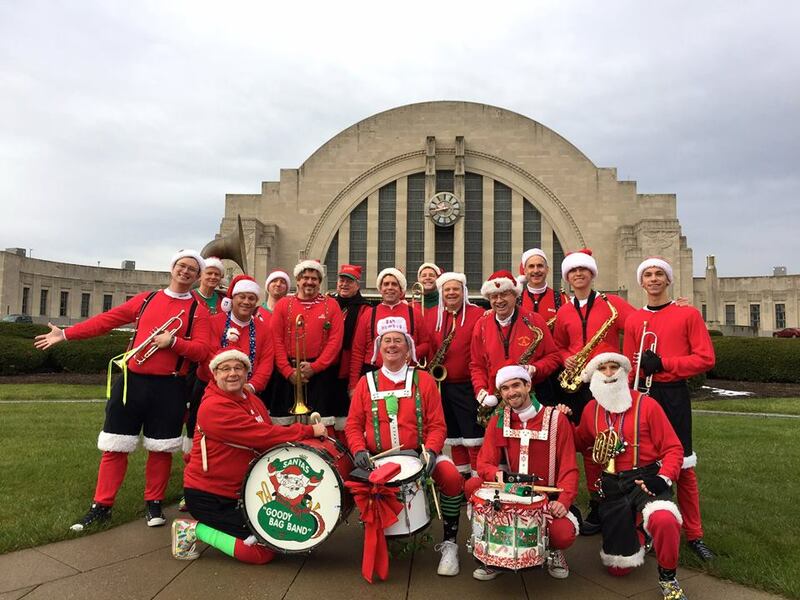 One December night in 1981, a few horn players who had played together at Kings Island were jamming on Christmas carols at one of their homes and decided to take their tunes “on the road” to a local pub in Forest Park. They reprised their pub visit the following year, and while they were entertaining the patrons, a woman gave them a donation for playing the favorite song of her daughter who had died that year. The gift was quite unexpected and, moved by the woman’s story, they asked what she would like them to do with the donation. 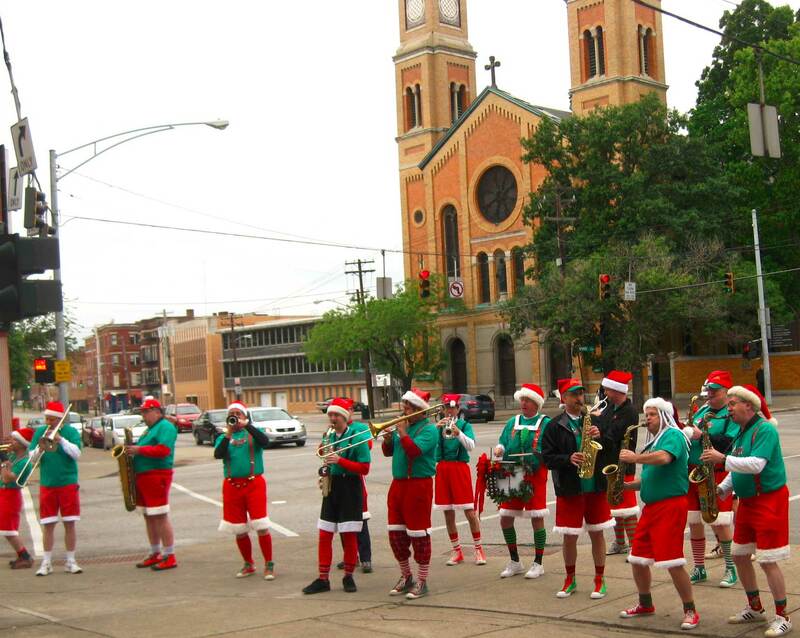 She suggested that they contribute it to Shriners Hospital for Children in Cincinnati. 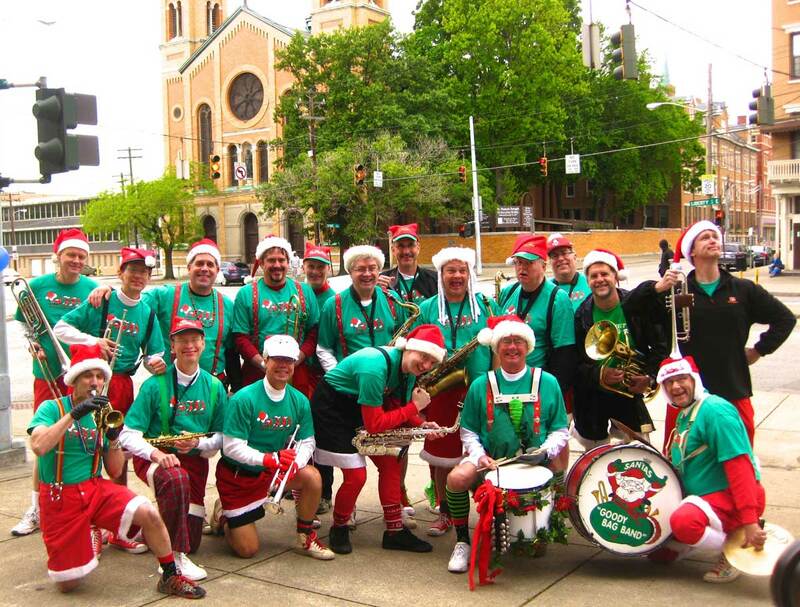 And so they did, which marked the beginning of Santa’s Goody Bag Band, a group of musicians who dress as Santa’s elves and perform high energy Christmas carols year-round, amusing audiences and collecting monies to benefit local children’s charities. 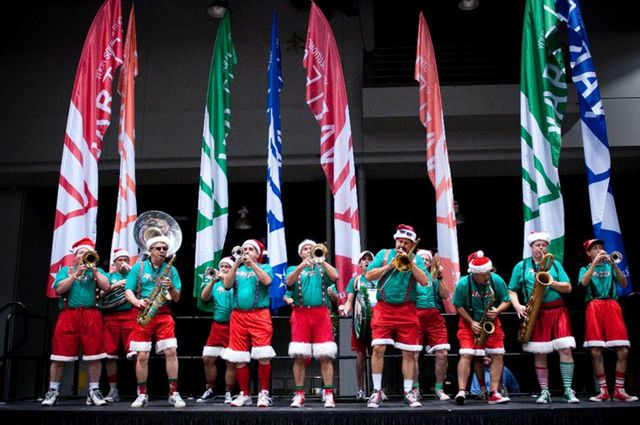 While the band’s repertoire is mostly Christmas classics, a few surprises are thrown into the set such as cartoon theme songs, a little salsa and a few patriotic tunes. 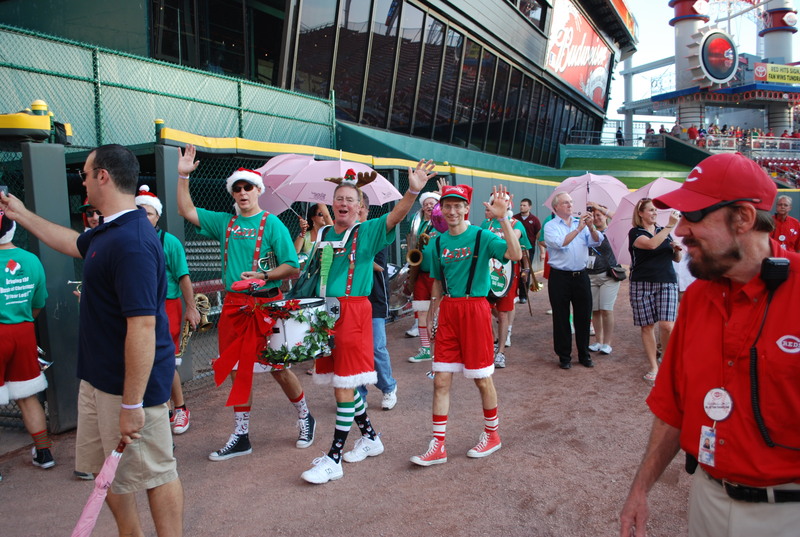 David Wecker of the “Cincinnati Post” once wrote “…Santa’s Goody Bag Band is the Rolling Stones of Christmas music. Against all odds, the tunes hang together nicely. The band rocks.” The group can number from 10 to 20, depending on schedules, and includes doctors, lawyers, managers, and professionals from all walks of life.